What I have posted here is a bit controversial. A while back, my sister was doing some research on green tea and she came across a study that alarmed her. Her husband often drank large quantities of green tea each day so, she continued her research and presented me with her findings. I was shocked and her husband immediately stopped drinking black and green tea altogether! Like most nutritionists, I have been recommending the use of green tea for years. I present this article, written by my sister, Lynn Daniluk, for your consideration, to help you assess if you are one of population for which green tea is not beneficial. 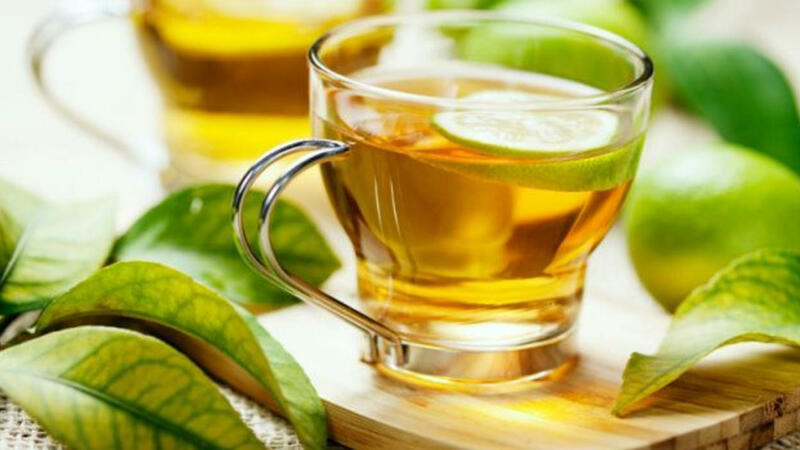 I have modified my tea recommendations and suggest that, if you suffer from certain medical conditions, such as thyroid disfunction or osteoarthritis, you, too, may not benefit from this age-old beverage. If you are unwilling to drink a glass of fluoridated water from a city tap, then you should think twice about drinking green or black tea. According to the calculations made by the Oregon State University's Linus Pauling Institute Micronutrient Research Centre2, all tea has a higher level of sodium fluoride than the City of Ottawa's fluoridated drinking water. The levels per litre depends on the length of time the tea is steeped – even a 5-minute brew will give you a higher level than Ottawa's City water. These calculations were made from tea that was brewed using water that wsa not fluoridated, so the flouride levels when using flouridated water would be compounded. It's important to note that the Linus Pauling Institute (LPI) website doesn't state any problem with fluoridation – it's felt that flouride prevents tooth decay, so LPI would not be trying to reduce the numbers in order to make the situation look better. Besides, these levels have been confirmed by other studies done in China, Turkey7 and India. It's interesting to note that the initial level of fluoride in green tea is higher that black tea, so the concept that green is universally better than black does not hold water. My next concern is the level of aluminium in tea which compounds the effects of sodium fluoride. Once you start to look at the studies, you'll realize that scientists are talking about aluminium and fluoride together in the same sentence.3 4 This has far-reaching implications that go beyond the idea that a bit of fluoride helps tooth enamel. It is also important to not overlook the effects of caffeine on the uptake of sodium fluoride. A 2009 study, conducted in Turkey, showed that "herbal and fruit infusions were characterized by low values of ﬂuoride (0.02–0.04 mg/L) after 5 minutes of brewing and increasing brewing time to 10 minutes caused only slight increases in some infusions".7 Tea grown in the same area had a very large amount of fluoride by comparison. It appears that the tea plant has the specific ability to absorb sodium fluoride and aluminium from the environment that other plants do not possess. It does not matter what is put on the plant in the way of pesticides, herbicides or fertilizer, the plant collects these toxic minerals from the soil and water. In other words, drinking organic tea may not be helpful in this case. It is also hard to know what constitutes 'organic' in places such as China, Turkey, Sri Lanka, India and Kenya. Though the tea plants may not be sprayed with pesticides and herbicides, the soil and water the plants grow in is often contaminated. It is known that flouride has an effect on thyroid function. After reviewing the evidence, I suggest that if you suffer with thyroid issues, consider limiting your use of green tea and green tea products. For more information, check out this particularly well written article, Green Tea, Fluoride & the Thyroid. The author of this article cites, "a major Canadian study published in 1995 reports average fluoride content in tea to be 4.57 mg/l in the 1980s".10 I checked the Health Canada website, confirming that Health Canada not only knew about the study, they funded it. Considering the millions of tonnes of tea consumed worldwide every year, there is plenty of reason to keep the myth of tea's health benefits alive. There's also no doubt that there are some benefial compounds within the tea plant... though at what cost to your body? Oregon State University's "Linus Pauling Institute Micronutrient Research Centre"
Aluminium and fluoride contents of tea, with emphasis on brick tea and their health implications H. Wong Corresponding Author Contact Information, E-mail The Corresponding Author, K. F. Fung and H. P. Carr. Department of Biology, Institute for Natural Resources and Environmental Management, Hong Kong Baptist University, Kowloon Tong, Hong Kong. 21 December 2002. Fluoride and aluminium concentrations of tea plants and tea products from Sichuan Province, PR China W. S. Shua, Z. Q. Zhanga, C. Y. Lana and M. H. WongCorresponding Author Contact Information, a) State Key Laboratory for Bio-control, School of Life Sciences, Zhongshan University, Guangzhou 510275, People’s Republic of China. b) Institute for Natural Resources and Environmental Management, and Department of Biology, Hong Kong Baptist University, Kowloon Tong, Hong Kong SAR, People’s Republic of China. 19 June 2003. Fluoride Content in Caffeinated, Decaffeinated and Herbal Teas J.T. Chana, S.H. Kohb Vol. 30, No. 1, 1996 a) Department of Basic Sciences and b) Department of General Dentistry, University of Texas Dental Branch, University of Texas Houston Health Science Center, Houston, Tex., USA. Caries Research (1996) 30:88-92 The average sodium fluoride concentration of infusions prepared from decaffeinated (green & black) tea were found to be 3.19 ppm and ranged from 1.01 to 5.20. Skeletal Fluorosis from Instant Tea Whyte MP, Totty WG, Lim VT, Whitford GM. 2008 May;23(5):759-69. Division of Bone and Mineral Diseases, Washington University School of Medicine at Barnes-Jewish Hospital, St Louis, Missouri, USA.